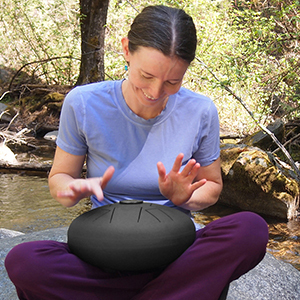 Founded in 2008, HAPI Steel Tongue Drum has gained a reputation for outstanding service and commitment to customer satisfaction. Who are we? HAPI Drum is owned and operated by partners Grahm Doe & Tricia Kelly. We also own and operate The Didgeridoo Store since 1997, with over 19 years of combined experience in the musical instrument marketplace. We are a member and participant of NAMM (National Association of Music Makers). Our mission is to enhance peoples' lives through music and culture. How was the HAPI Drum created? Our passion for steel instruments began with the purchase of our first Hang. The beautiful sound of steel captivated and inspired us. With our previous experience of creating musical instruments (didgeridoos), we began experimenting with steel. 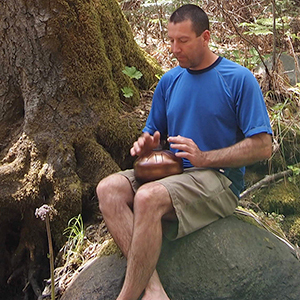 We discovered Dennis Havlena and his research on using steel tongues to create a similar kind of sound. Inspired by his proof of concept we set out on a prototyping journey. We began to experiment with tongue shapes, drum body sizes, sound ports, dampening materials, and different steel types. After months of work we had our first design, the HAPI Origin. We began offering these for sale in 2008 and shortly after we were awarded with our first U.S. design patent and a trademark for HAPI Drum. We are always excited to improve and evolve our product line! Adding our HAPI Mini, Slim, Bell, UFO, Omni Drum models. We also have added accessories such as custom crafted mallets, durable padded travel bags, studio quality microphone and adjustable tuning. Our other hobbies? We both love nature and going for hikes in and around Yosemite National Park. 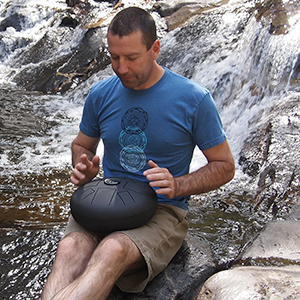 We are deeply attracted to instruments that can be enjoyed in the outdoors and around a campfire with family and friends. In our spare time, Grahm is an avid rock climber and Trish plays with glass (stained, fused, torch). Both these creative outlets have taught us a great attention to detail, which we use daily in running our business. What sets us apart? We innovate, design, and play all of our products on offer to you. We supply the best playing instruments to our customers. Our unique designs are created, tested, and manufactured to our highest standards. Reliability? We offer fast reliable shipping with delivery capabilities worldwide via UPS and USPS. See our How To Order page for more information. Customers can make purchases 24 hours a day, 7 days a week via our website. We can also be contacted by phone at (559) 642-6248. All of our products are tested to assure that you will enjoy your purchase and appreciate it for years to come. Your satisfaction is very important to us. We guarantee satisfaction on every product we sell. Issue Resolution? We work hard to ensure that your order is right. In the rare instance something does happen we will do whatever it takes to satisfy you and exceed your expectations. All orders are insured for damage. If your order is damaged in shipping we will file the claim for you with the shipping company and send you out a replacement product right away. In the event that you are not satisfied with your product(s), send your order back within 7 days of receipt for a full refund (minus shipping charges incurred). Please feel free to e-mail us with any questions at: info@hapidrum.com or call us at (559) 642-6248.